Miss Mermin? Yeah, us too, but Joey Weiser has new things in store with this book about a boar struck down before her time who’s learning about the afterlife and trying to make up her mind about vengeance. Weiser’s proved himself gifted at spinning out a narrative and cast of characters more complex than most folks produce for kids, and his work is a sort of gateway to manga, with Japanese influence running strong behind much of what he does. Not convinced? Already want more? 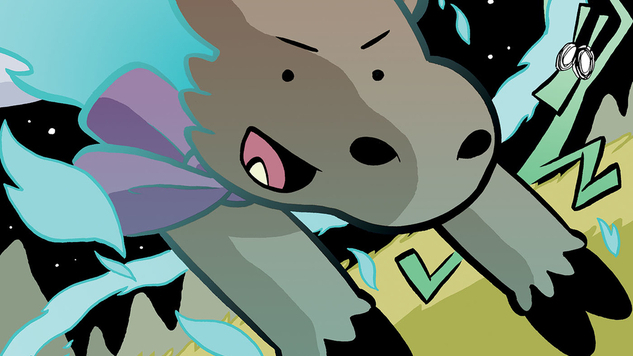 Check out an exclusive preview of Ghost Hog below, and keep an eye out for an additional preview in publisher Oni Press’s Free Comic Book Day offering this May, just ahead of Ghost Hog’s publication on May 7th.